When it comes to pleasing a big crowd (or pleasing a party full of low-carb diners), you can't go wrong with a little bacon! 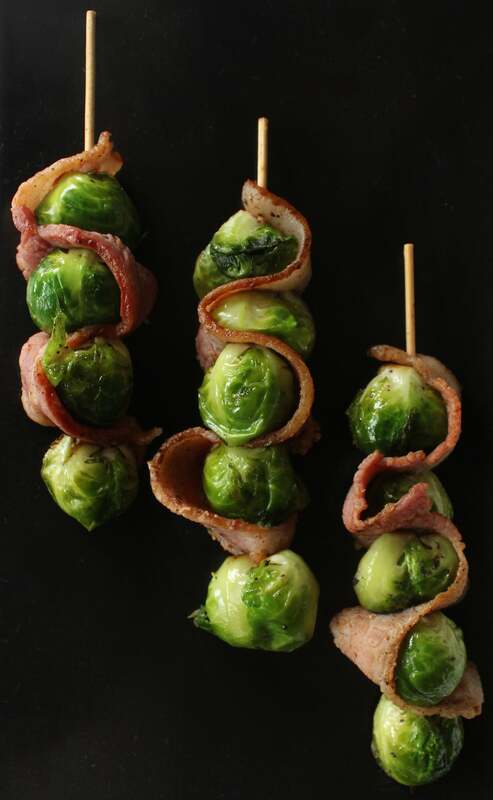 Simple bacon and brussels sprout skewers are a Paleo-friendly and naturally gluten-free appetizer that come together in just a few steps. 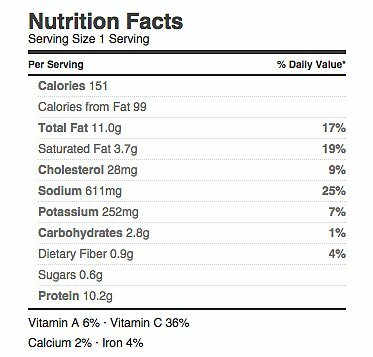 These satisfying skewers help keep portion control in check — each is just over 150 calories and offers more than 10 grams of protein. Clean-eating-approved and full of flavor, this low-carb appetizer is destined to become a new classic at any spread you're hosting. Cut each strip of bacon in half lengthwise. In a frying pan on medium heat, cook the bacon until it's partially cooked but still soft and pliable. (If you overcook the bacon, it will be difficult to weave it onto the skewer.) Remove the bacon from the pan, and set it aside. Remove most of the bacon grease from the pan, leaving just enough to coat it. Cut the brussels sprouts in half lengthwise. Add the sprouts, ghee, garlic powder, and sea salt to the frying pan. Sauté on medium heat until the sprouts are tender and browned. Assemble the skewers by threading 1 end of the bacon onto the end of a skewer. 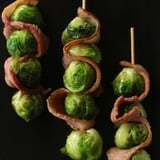 Add a brussels sprout slice, and weave the bacon around the sprout and back through the skewer, creating a wave pattern between the sprouts. Move the bacon and the sprout down the skewer, and repeat this process 2-3 more times for each skewer. Bake the skewers in a baking pan for 5-10 minutes, or until the bacon is fully cooked.